MY BOOKS AVAILABLE FROM AMAZON WORLDWIDE click on book cover to go to Amazon. Coming home from war can be hell. All Jimmy Dalton wanted after fighting for his country was to escape his demons and live a quiet life. But a notorious gangster has other ideas and Jimmy finds himself in a war of a different kind. The daughter of Phil Duggan has been kidnapped by the Russian Mafia and Dalton is coerced into rescuing her. What he finds out sees Dalton set on a path of revenge that may turn the streets of London red with blood, a path that may not only destroy those he cares about; but also his sanity and his very soul. If you're a fan of action then this is the perfect read for you. Dalton is a bit like what Lee Child's Jack Reacher might be like if he was from a working class British background and wasn't written to please the mass market audience. My one complaint is that the story is very short and I wanted things to be explored more between all the action at times. But at the same time this is the story's strength because action fans wont have to wait more than a couple of pages for their next hit. The action is expertly written, I find some writers really can't write action but Scorah handles it brilliantly. A powerful story of a guy trying to get a better life than the one he was born into. Trying but not wholly succeeding. With the backdrop of post traumatic stress from serving in Afghanistan, there are some touching moments, even amongst the gangland violence and killing sprees. The coming together of two characters both mentally destroyed by their parts in this seedy world is a perfect illustration that there are many situations which can scar mentally an individual. I would recommend this book to anyone who likes plenty of action and is not offended by swearing. Looking for an action thriller akin to a runaway train full of flying bullets, bulging biceps and mayhem piled upon mayhem? 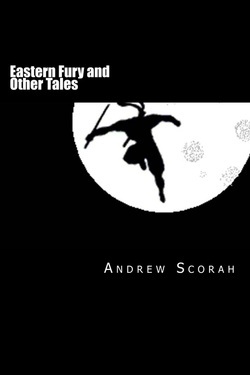 You'll find it in this début novella by British author Andrew Scorah, a name that could well become synonymous with the best the thrill genre has to offer. 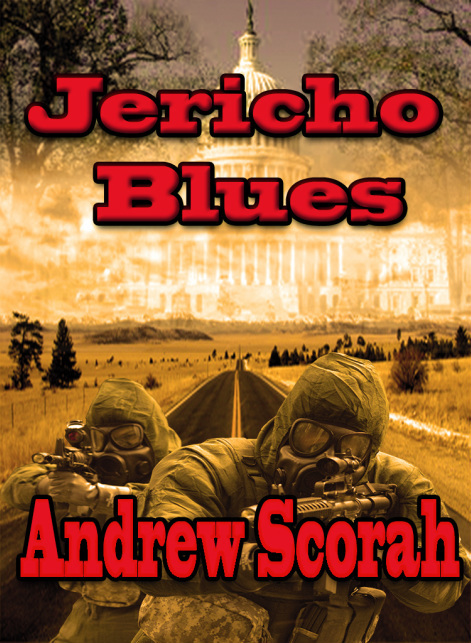 There's rarely a let up in Scorah's `Homecoming Blues' as he takes his ex-Special Forces alter-ego, Jimmy Dalton, on a mission that starts as a rescue operation and ends in a revenge crusade. Along the way he crosses swords with some of London's resident gangleaders, takes on the Russian Mafia, and fends off bounty hunters determined to cash in on the hefty price placed on Dalton's head. 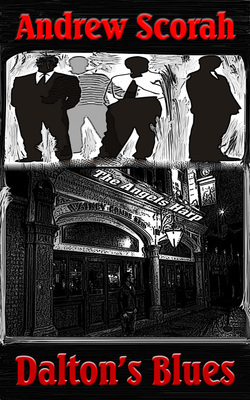 The setting is the London streets and neighbourhoods of the Kray twins. Even though the story is set in modern day you can almost smell the fear that used to pervade the area when the Krays were at their murderous best. It is that kind of world that Jimmy Dalton heads back into when he steps off a taxi and walks straight into trouble with Phil Duggan, a throwback to the Krays' brand of gangland boss. What follows is a bare knuckle ride that provides little respite for the reader. You've got to hang on grimly as Scorah tears across the pages, piling up bodies in a frenzied narrative that moves you from one kill zone to another in less than a heartbeat. It's a true feast of in-your-face action! What strikes you immediately about this story is the earthy dialogue. It kicks in from page one, providing instant realism and a sense of believing you're right there inside the story. Told in the first person it has a style that doesn't look for pretensions - it doesn't need any. Done any other way, it simply wouldn't work. This is new-kid-on-the-block writing at its best. It ticks all the boxes for those who want to escape into the world of heroes and villains; the world of good and evil; the world of crime and retribution. You'll be hearing a lot more of Andrew Scorah over the next few years. My advice is to get in on the ground and follow this exciting new talent. From the land of the rising sun to America in 1865, comes the Ninja warrior Chihiro Kitagawa, on the trail of a renegade Ninja. Also see him smite a religious maniac and take on a family of cannibals in order to save a friend from becoming lunch. This trio of stories is a wild roller-coaster ride of adventure, thrills, spills and kills. 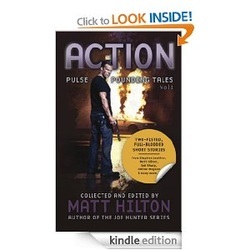 The story in the title of this book first appeared in a book compiled and edited by Matt Hilton, author of the Joe Hunter novels, titled Action: Pulse Pounding Tales Vol 1. It featured a character named Chihiro Kitagawa; he is a Ninja warrior from Japan. Because of the premise of the book was a harkening back to the days of the pulp action thrillers of the seventies and eighties, The Mack Bolan books by Don Pendelton and the Destroyer series by Warren Smith and Richard Sapir to name a couple. I thought back to those days and what stood out in my mind was not only the books but it was also when I first encounted the spaghetti westerns, A Fist Full of Dollars, The Good the Bad and the Ugly, My Name is Nobody and also the TV series Kung Fu. So I decided to combine all the elements and add the twist of a Ninja warrior and dump him into the old west. 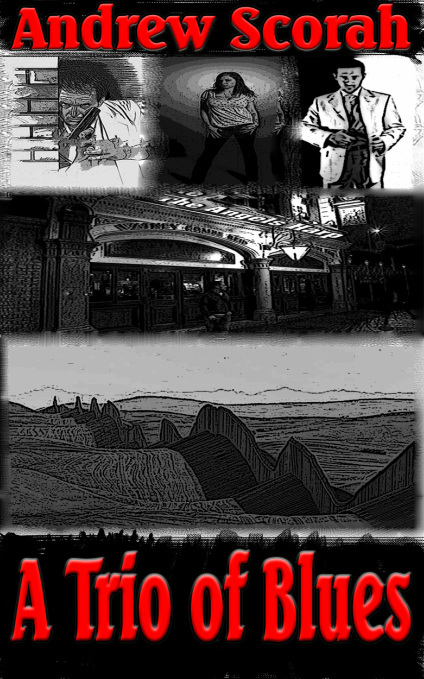 With the coming of the new year 2013, I thought I would release a box set of my stories featuring Jimmy Dalton. Dalton's on the run with a gal, and a gun! What begins as a search for missing D.E.A agents, turns into a race against time through the Sonoran Desert. Jimmy Dalton & Jamie Duggan uncover a plot to unleash a terrible Biological weapon which has the capability to wipe out the world. Suicide bombers loaded with viral death are on their way to unleash hell, only Dalton & Jamie stand in their way. This is the explosive sequel to Homecoming Blues, a hard hitting and action packed thriller. If you ever wanted a pillow-thumping, sweat-generating read, then look no further than,'Border Town Blues.' Andrew Scorah's keyboard must have been on fire when he wrote this. 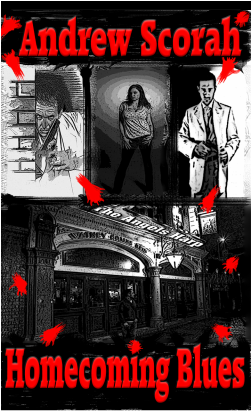 With characters like 'Jimmy the Horse' at his local watering hole, to double dealing post-Escobar's Medellin Cartel, to villains with more top drawer connections than a string of popper beads...Jimmy Doyle (the main protagonist) and his cute sidekick, Jamie Lee, are in deep doo doo right from the off...Having been tricked into a seemingly impossible mission, with the only outcome certain death, Jimmy survives...Just...Or does he?...It has an authentic, well researched feel, and a dazzling dialogue, combined with a grease lightning pace. And with an opening set in the the Arizona desert, all I can say is, make sure the heating is off before reading. It was a night to end all nights. The night Jimmy Dalton's life changed forever. Will Jimmy walk away unscathed or will he sink to the depraved depths of those around him? What started as a night out with the boys, soon descends into a drug fuelled ride of madness and mayhem. 4.0 out of 5 stars Dalton's Blues 29 Dec 2012 By Otis Format:Kindle Edition A short story prequel to the other adventures of Mr Scorah's "hero" Jimmy Dalton. Firmly in the gritty tough guy camp follows a "firm" of young scum on a violent night out. Well written and action packed, though none of the characters are at all appealing as they avenge imagined slights with extreme prejudice. Nobody really for this reader to cheer for, these are people I would leave the country to avoid, though there are hints of a new direction at the end which may bring the main character into more sympathetic territory in the other books. There is certainly a large market for this type of story, and Mr Scorah has every chance of carving out a niche for himself. 5.0 out of 5 stars Dark City 22 Dec 2012 By Warren Stalley Format:Kindle Edition|Amazon Verified Purchase I first came across the author Andrew Scorah in the impressive ebook compilation Action Pulse Pounding Tales Volume One. 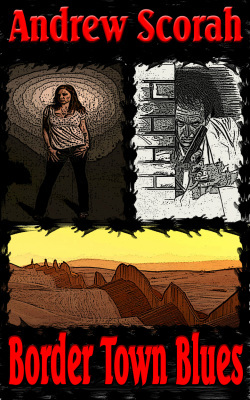 This short story by Mr Scorah is a taster for a novel Homecoming Blues. The ultraviolent tale reminded me of A Clockwork Orange where a group of young men casually engage in acts of extreme violence on a night out. 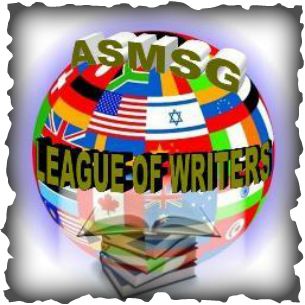 It hurtles along and leaves the reader wanting to see where the story goes next. If you've got the stomach for it this short story certainly whets the appetite for further adventures of the character Jimmy Dalton. Enjoy. My story Eastern Fury appears in this anthology of exellant stories. That’s exactly what you get in this collection of action stories from top thriller authors Stephen Leather, Matt Hilton, Zoë Sharp, Adrian Magson, Steven Savile and many more, including stories from exciting up-and-comers. Andrew Scorah-1965-, Andrew was born in Doncaster south Yorkshire, but moved to Swansea in 1999. Andrew has worked in a variety of jobs over the years,mostly in the security industry. His main interests are music, an avid Springsteen fan, reading and his family. He describes himself as a journey man in training, a writing Ronin. His writing has appeared in Action Pulse Pounding Tales alongside best selling thriller authors Matt Hilton, Stephen Leather, Adrian Magson, Zoe Sharpe and Joe McCoubrey. He also has a couple of books published on Amazon, A Collection in Time, Eastern Fury and Other Tales, The Beast, which is a short story, and Homecoming Blues a tale of revenge and redemption set in gangland London.His new thriller is set in America and is the sequel to Homecoming Blues. 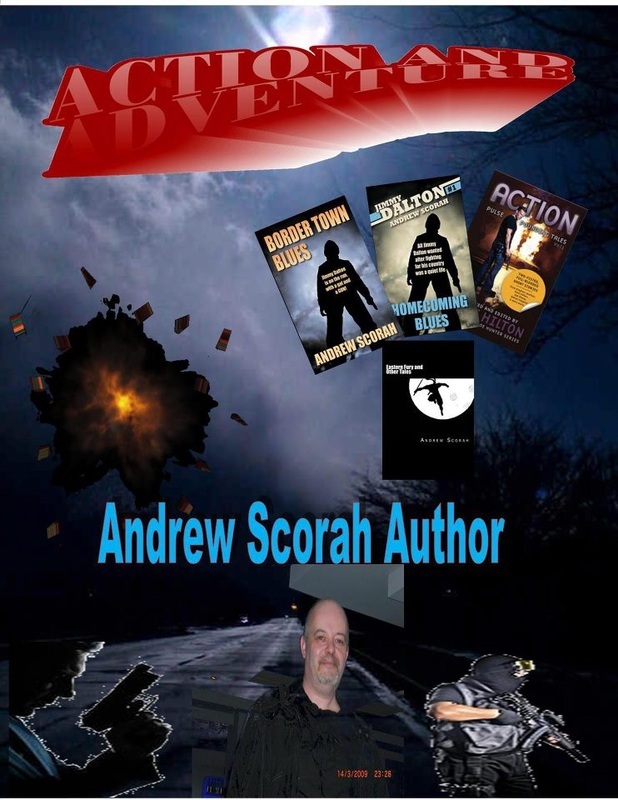 Contact Andrew Scorah for more info on his books.